Trade competitiveness is key and must be driven by a system that ensures ease of the business processes; identifying and doing away with redundancies, duplication and bottlenecks. 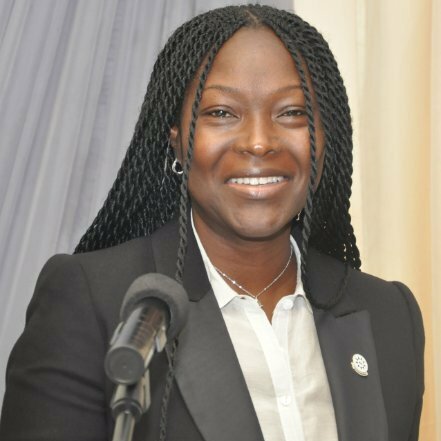 The Chief Executive Officer of West Blue Consulting, Valentina Mintah, in her address at a Media Trade Facilitation Workshop held on March 4, 2016 at the Royal Senchi Resort, Akosombo, Ghana, noted that greater gains were achievable trade-wise through collaborations. Mintah said an effective national single window regime would put an end to excessive bureaucracy, which has been described as the most severe constraints to trade processing in Africa. “That African Importers and Exporters remain uncompetitive in the global business arena is largely attributable in part to the number of days it takes to complete import and export processing and their attendant costs. “The collaboration of sister countries-Ghana and Nigeria on trade facilitation activities will bring about further gains in our quest for increased intra-African trade, with the realisation of efficient processes and movement of goods. “No matter how much is done as individual institutions and countries in addressing these bottlenecks, it cannot be compared with the positive and timely impact that can be achieved with the joined up efforts of all stakeholders. The West Blue Consulting Boss and other facilitators of the workshop looked at how the trade facilitation instruments and agreements work, as well as summaries of findings in case studies carried out in the Ghana trade system. She said that the outcome of critical stakeholders meetings recommended policy reviews and the TO-BE business processes and ICT infrastructure to enable the required transition from a culture of delays and high costs of doing business to a culture of faster, simpler, automated and predictable processing imports, exports and transit in Ghana. One of the resource persons, Mr Tom Butterly in his presentation, noted that there had been an increased focus by countries on implementing the trade facilitation reforms. He noted that trade facilitation which was working by the simplest ways of managing trade procedures which can change economic distances to world markets. He said working with the key components of People; to ensure a new mind-set open to improvement initiatives; Processes; simple and easily managed; Platform; working with ICT, and Policy; the legal framework backing the operating system could help Ghana(based on case studies) save about $200 million in a year. In same vein, Dr. Somnuk Keretho in his presentation on International Trade Documents said trade facilitation was basically about ‘process reforms’ that would improve documentation for improvement in trade, which should lead to reduced cargo dwell time for imports. He also noted that such reforms would enhance national trade competitiveness by improving import/export procedures and document handling among government agencies. The ICT resource person, Mr Aminu Uthman, who spoke on the ‘ICT Architecture’ noted that available infrastructure to support the effective use of ICT to drive the process was very important. Uthman said the cost consideration for electricity generation would definitely make a single window cost in Africa to be higher to create than in places where the electricity infrastructure was readily available. Please you are welcome to visit these links for more information on the single window conversations.